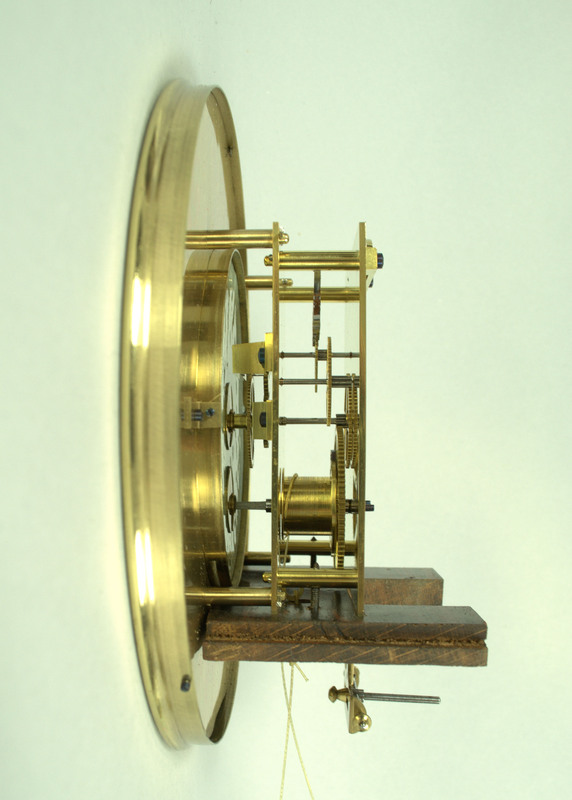 A fine quality Biedermeier timepiece Viennese Regulator, circa 1860. 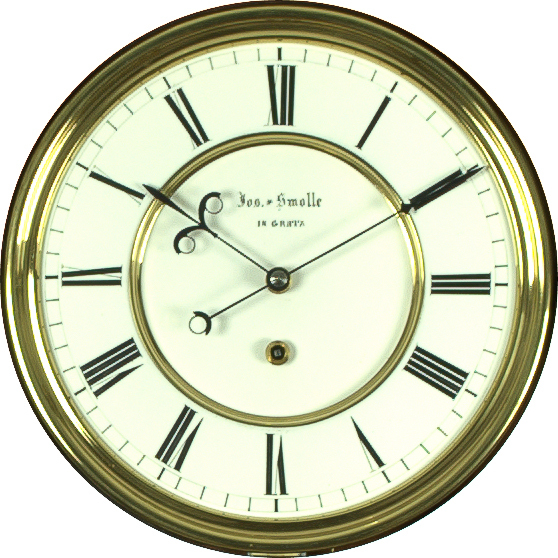 The figured rosewood case, surmounted with a carved pediment with matching carving the base. The two piece enameled dial with Roman numerals and signed to the dial centre with makers name, The inner and outer dial surrounded by polished brass bezels. The fine quality eight day movement with deadbeat escapement. 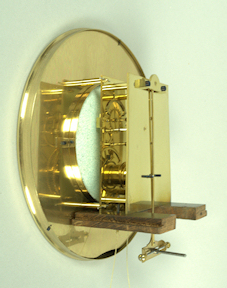 Polished brass cased weight, with ornate spoked pulleys, polished brass bob pendulum (front and back) with wooden rod.